The rewilding process started in the Faia Brava Reserve, which itself is now developing well. 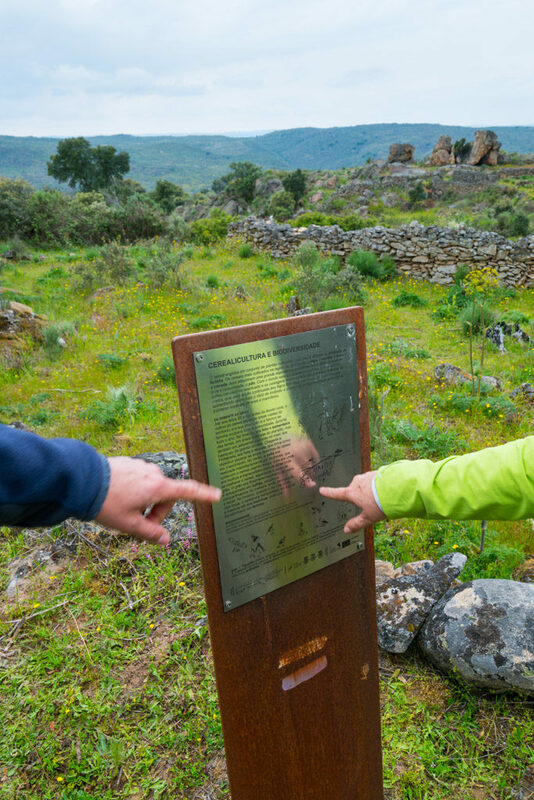 Portuguese NGO Associação Transumância e Natureza (ATN) was already working in the area before the rewilding initiative began, but using more traditional methods of conservation; since partnering with Rewilding Europe they have fully embraced the rewilding concept. This area is now transitioning from traditional farming and ways of biodiversity management to a more rewilding-focused approach incorporating rewilding enterprise development. Rewilding activities are focused on the Côa Valley, where the Faia Brava Reserve is located. 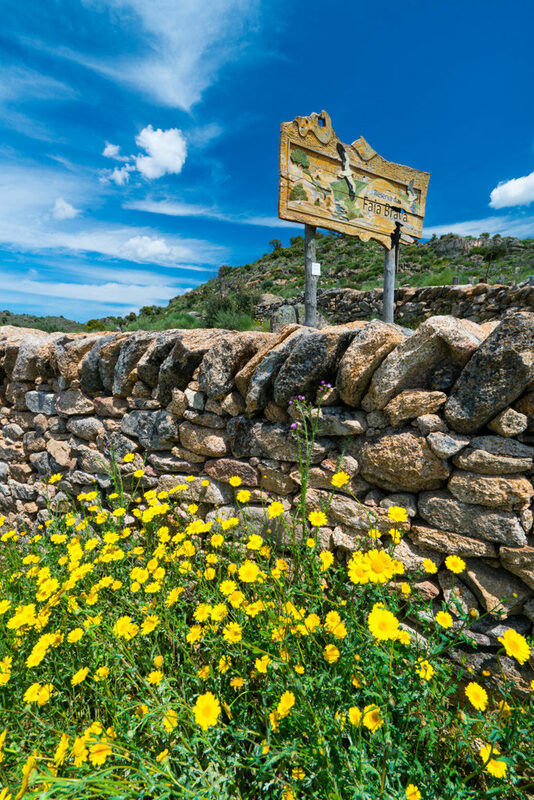 New priority areas were agreed in 2014, while new pilots for natural grazing, wildlife reintroduction and connected enterprise activities are now being established in the Middle Côa valley. In 2016 a five-year partnership agreement was signed with board of ATN regarding the development of the Côa Valley as a major rewilding initiative. Several project proposals prepared in 2017 concerning sustainable forestry, wolf conservation and ibex reintroduction and are in the pipeline with everal funding proposals submitted. 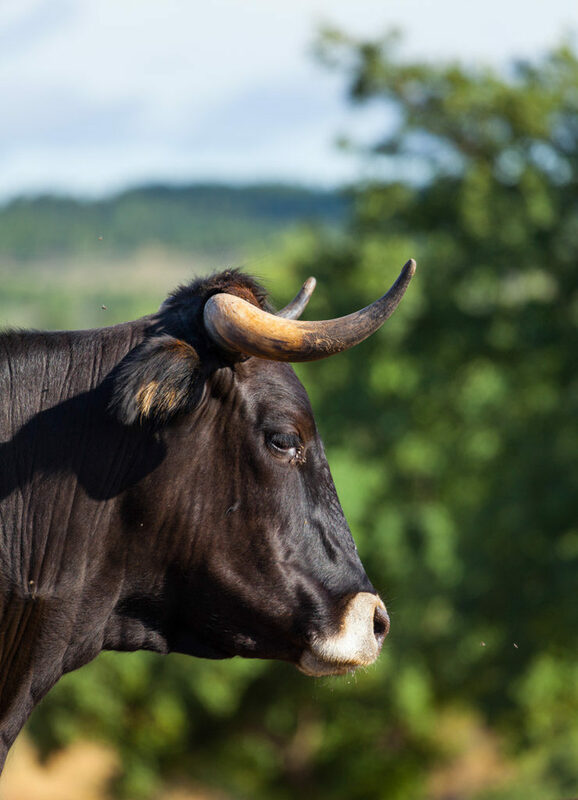 An agreement has been signed with the Taurus Foundation to start breeding Tauros in Faia Brava and Campanarios de Azaba focusing on two breeds of cattle – Sayaguesa and Maronesa. In 2015 the Tauros breeding sites saw further growth: in Spain (with 35 Sayaguesa cows) and Portugal (with 27 Maronesa cows). In Faia Brava reserve has been extended with purchase of a further 200 hectares. A total of 1,000 hectares is now under management, for the first time on both sides of the Côa River. 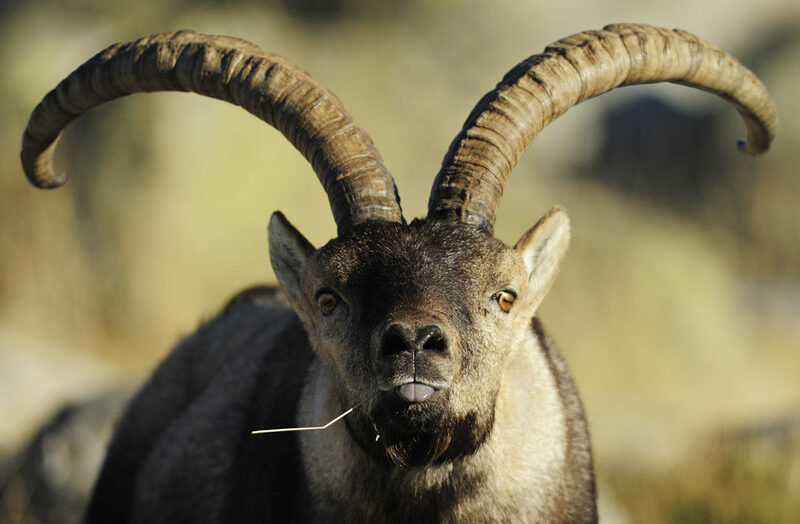 A feasibility study on the reintroduction of roe deer, red deer and Iberian ibex in the Côa Valley has been prepared by the University of Aveiro. But it is unclear when permits to begin reintroduction will be issued by national authorities. A total of 87 Garrano horses, 35 Sayaguesa cows and 27 Maronesa cows currently graze in the two reserves (which include partial fencing and internal de-fencing measures). 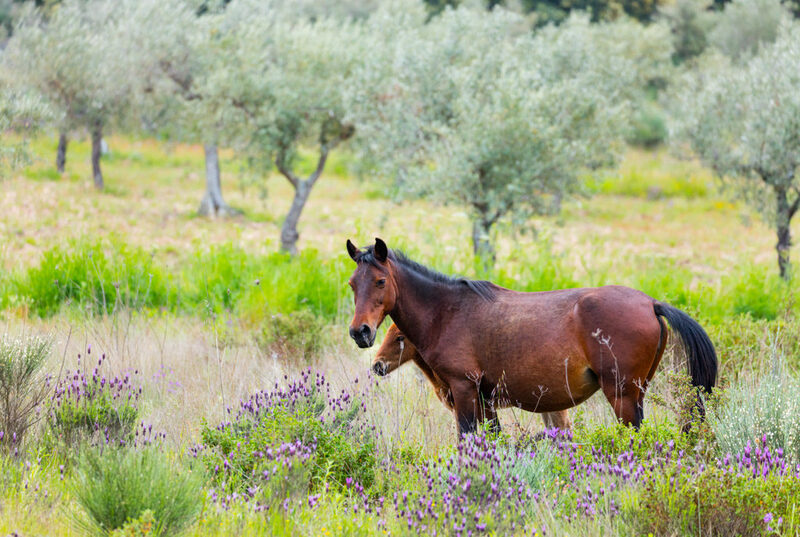 The existing herd of 45 Garrano horses living in the Faia Brava Reserve has been added to the European Wildlife Bank. Through this mechanism the herd will be under the temporary ownership of ATN, grazing the Faia Brava Reserve, surrounding areas of the Côa Valley, and other parts of the Western Iberia rewilding area. In the newer section of the Faia Brava Reserve (200 hectares on the opposite bank of the Côa River) a new natural grazing project has started, with small herds of semi-wild Garrano horses (15 individuals) and Maronesa cows (8 individuals). In 2015 signs of the presence of wolves were discovered in the area, further evidencing their spontaneous recolonisation of the region. In 2017 ATN started the so-called Zebro Project, carefully selecting and cross-breeding Sorraia horses to maximise their wild characteristics. These animals will eventually be released as a herd at a site close to (but separate from) Faia Brava. By 2017 there were more than 100 free-living Garrano horses living in the Faia Brava Reserve, which now covers more than 1,000 hectares. Agreements have been signed with 10 tourism companies to advertise nature-based activities in Faia Brava. One of Rewilding Europe Capital’s earliest loanswas made to Casa Cisterna. This guesthouse, located in a village close to Faia Brava Reserve in Portugal, hosts and guides visitors in the reserve and in the wider Côa valley rewilding area. The loan was issued to complete an extension to this boutique-style bed and breakfast accommodation. 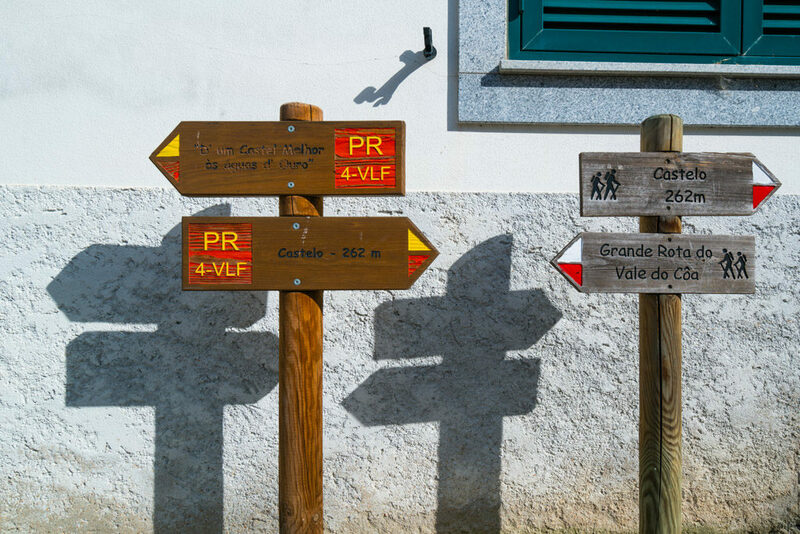 The “Grand Route of the Côa Valley” is a signposted trail of 200 kilometres that connects the source of the Côa to its confluence with the Douro River. 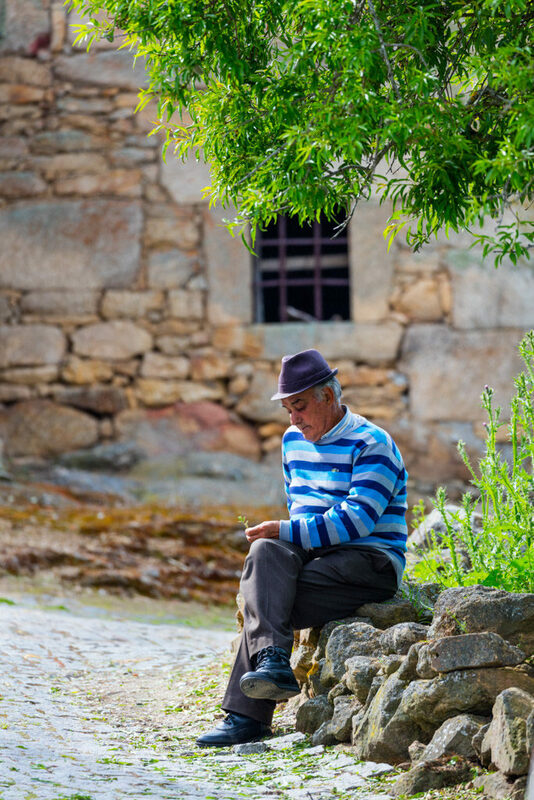 In this area the Côa River meanders across fertile plains and rocky slopes, tracing its path towards the Douro through a valley of immense archaeological, cultural and natural heritage. The Grand Route was officially launched in October 2014 and is designed for walkers, cyclists and horse riders. In a region experiencing depopulation, this is a great opportunity for entrepreneurs to develop new tourist products based on the natural environment. A range of new accommodation for people to enjoy the Faia Brava wilderness has been developed. The Star Camp, a simple and imaginative camp beautifully located in the middle of the reserve, is a new accommodation concept. A lodge comprising three wooden, safari-style units made from local materials, it is perfectly integrated into the landscape, with a minimalist design that still provides comfort. It is operated by local entrepreneurs and is technically, financially and promotionally supported by Rewilding Europe. 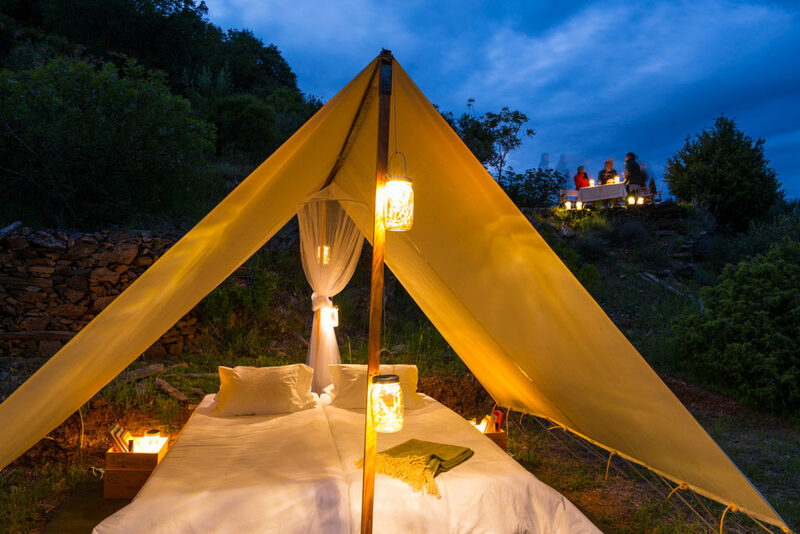 A different accommodation concept is Rewilding Europe’s groundbreaking Rewilding tented camps. The aim is to provide a flexible, adventurous and comfortable experience in some of Europe’s most remote areas using equipment refined through years of use in Africa. One tented camp in Western Iberia, financed by REC, became operational in August 2016. The first Erasmus Intensive programme “European Wilderness Entrepreneurship” was held in Western Iberia in April 2015, with 30 students and 15 lecturers/researchers from six countries taking part. 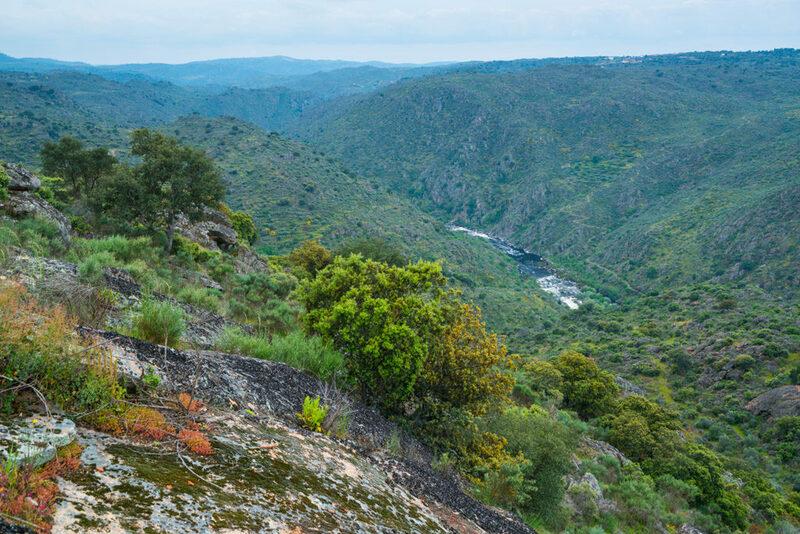 Wildlife Portugal became the fourth recipient of a REC loan in Western Iberia. The company specialises in birdwatching tours in the region, with a focus on the Faia Brava Reserve. The €33,000 loan of was used to develop two new birdwatching and photography hides (of which one is now complete), as well as to purchase a 4×4 vehicle and optical equipment. Wildlife Portugal is part of a “cluster” of complimentary enterprises in Western Iberia supported by REC. 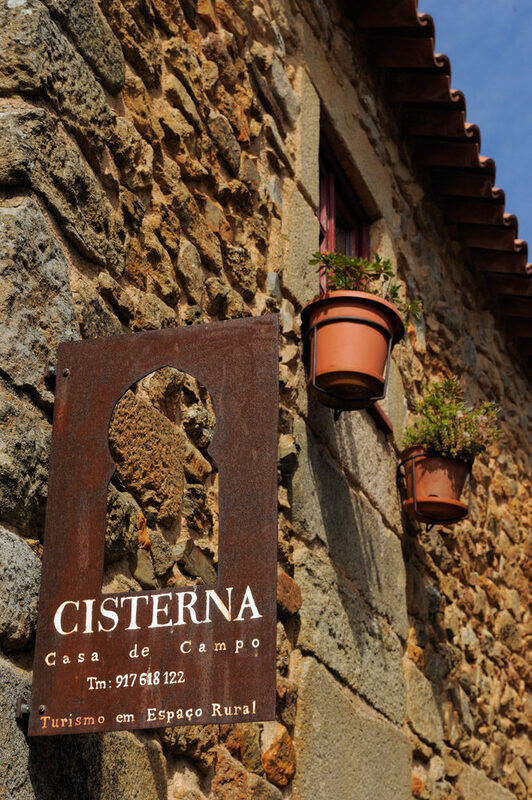 These also include Star Camp, Casa da Cisterna and Miles Away. The cluster is integrated in various tourism programmes, including those offered by the European Safari Company, local hotels and local operators, and has also been presented at various tourism fairs. A TV show about the Western Iberia rewilding area was produced and broadcast n the Dutch Postcode Lottery programme in the Netherlands. Comprehensive coverage in Spanish language media during an outdoor exhibition in Madrid in 2012, and during wildlife releases during 2012–2013. 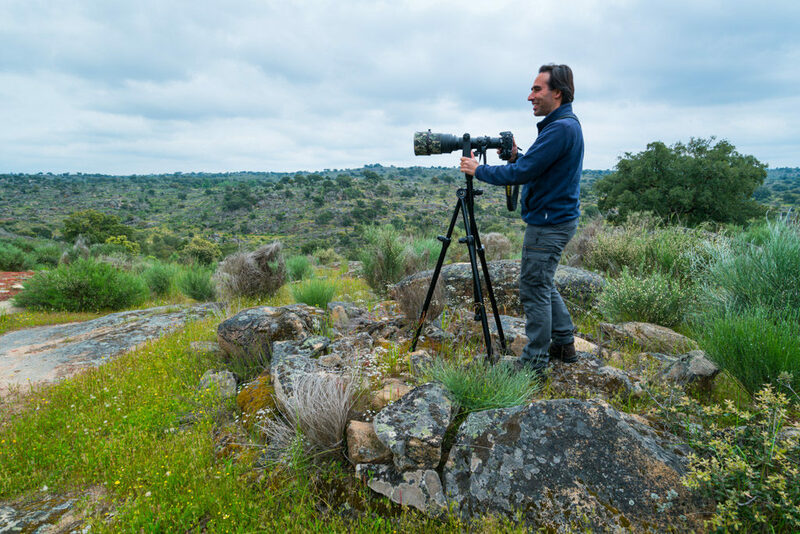 The success of the Western Iberia rewilding area was showcased in the documentary “Rewilding Europe – the case of Western Iberia” (a Wageningen University and I camera you production). 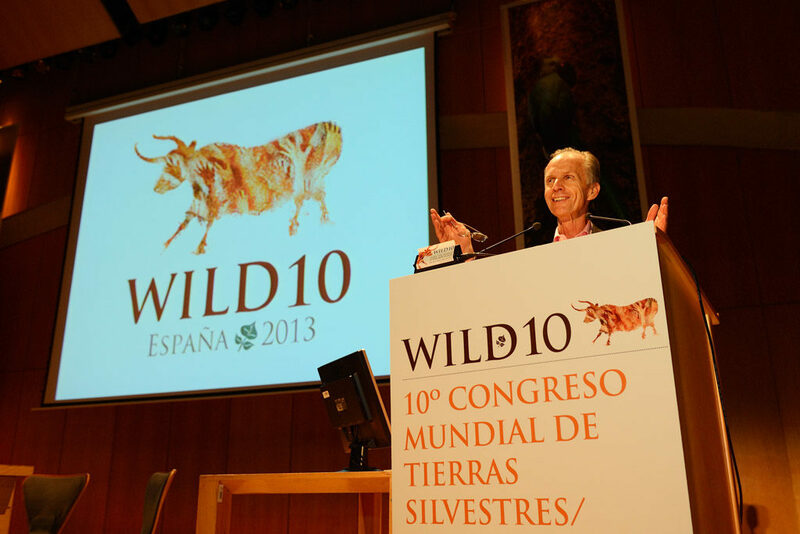 WILD10, the World Wilderness Congress, was held in Salamanca in 2014, which raised the profile of Western Iberia in Spanish, Portuguese and other European media. 60 delegates from WILD10 also witnessed the release of the second herd of Retuertas horses, spending a full day in the reserve and witnessing hundreds of griffon vultures, black vultures, black kites and red kites. The Grand Route of the Côa Valley (GRVC) website was launched in 2015. In October 2016 a group of volunteers participated in a work camp to restore a ruined house in Ribeira do Mosteiro nature reserve. ATN now uses the house for various communication and educational activities. Extensive media outreach on Dutch TV and in National Geographic Portugal, Smithsonian and various travel magazines. Running from October 14 to 16 and April 21 to 23 in 2017, youth camps introduced groups of teenaged Portuguese students from the Figueira Castelo Rodrigo School to the rewilding activities currently being conducted in the 850-hectare reserve.